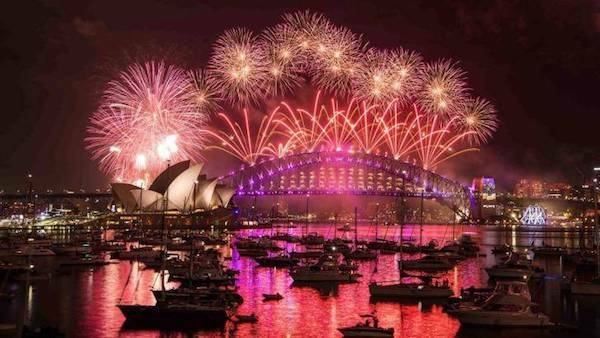 New Years Eve Cruises on Day By Day - $15,000 for up to 20 people – BYO food and drinks or Sydney new years eve cruise catering is available. Day by Day is a very versatile boat that is fantastic for New Years Eve Cruises. It’s versatile design allows guests to make the most of the whole boat. There is plenty of indoor space with access to all the facilities, as well as ample outdoor and alfresco dining space. A huge advantage on New years eve cruises is access to an outdoor area with uninterrupted views so that you can watch the fireworks on your new years cruise without having to duck and weave to get a good view. Day by Day has access to a huge bow, or front of the bat that has plenty of room for everyone to watch the fireworks and bring in the new year under the stars on your new years eve cruise. Day by Day has a great area in the cockpit which can be used for alfresco dining or for a lazy day drinking and eating nibbles. There is plenty of seating and a spacious dining table to layout food and drinks. For new years eve cruises Sydney the are is often used for cheese and seafood platters for guests to nibble on while they enjoy a few wines as the sun goes down. Day by Day allows BYO for New Years Eve cruises which means you can save some money on catering costs as well as ensure you have exactly the food and drinks you want. There are facilities on board for warming your food. The internal areas of Day by Day are modern and contemporary. 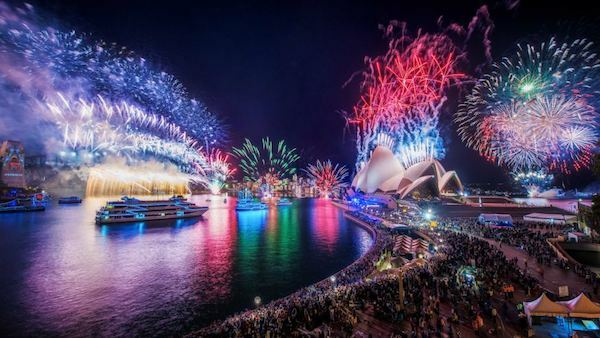 Sydney New Years Eve cruises on board Day by Day will be sure to impress your guests as they will be spending new years eve on a boat that has a touch of class and is very reasonably priced. The crew on board Day by Day are incredibly friendly and know how to make a new years eve cruise a memorable one. It is important for the boat to be special on New Years Cruises and it is just as important to have a fun and relaxed crew that maintain professional standards. Day by Day is a Sydney New Years Eve cruise option that is great value, and is sure to help you have the night of your life. Enquire now to book Day by Day before it books out.